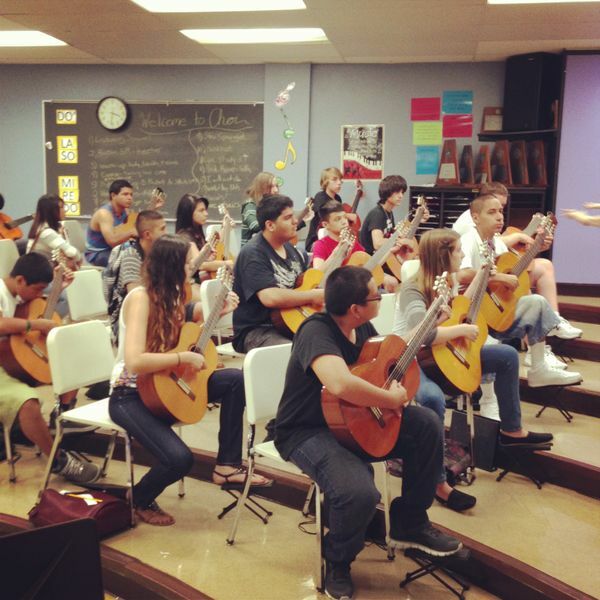 Guitar class at the end of the day. Dynamics, from pianissimo to fortissimo, were discussed and demonstrated by students while simultaneously learning to play a few chords. Looks a lot tougher than Guitar Hero but it made me want to jump in and try!